Coming soon to Via Marina Neighborhood 3561 Via Marina Ave Home for Sale in Oxnard, CA featuring 4 Bedrooms and 2 Bathrooms with an additional bonus room which make this large house over 2,000 square feet of living space. Large lot with over 6700 square feet and RV Parking space. 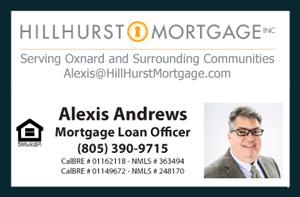 The family is excited and is looking forward to opening the doors to the public soon for everyone to have an opportunity to live in one of Oxnard's premiere neighborhoods. The house is located walking distance to Seabridge Marketplace where you will find coffee shops, restaurants, supermarkets, and more! The Oxnard Marina is also nearby- some locals witness marine wildlife during their walks along the marina. Via Marina Neighborhood is a very clean and family oriented community surrounded by well kept parks and roads. Christa McAuliffe Elementary school serves the community and remains a local favorite.